Lunar Eclipse, Blood Moon to Occur on 27th July 2018 in Pakistan and Other Countries . On 27th July, 2018 skywatchers across the world will witness the longest total lunar eclipse or chand grahan of the 21st century. .This time there will be total eclipse with the blood moon in July, 2018 and the whole world except the U.S, will witness the moon turning into red. 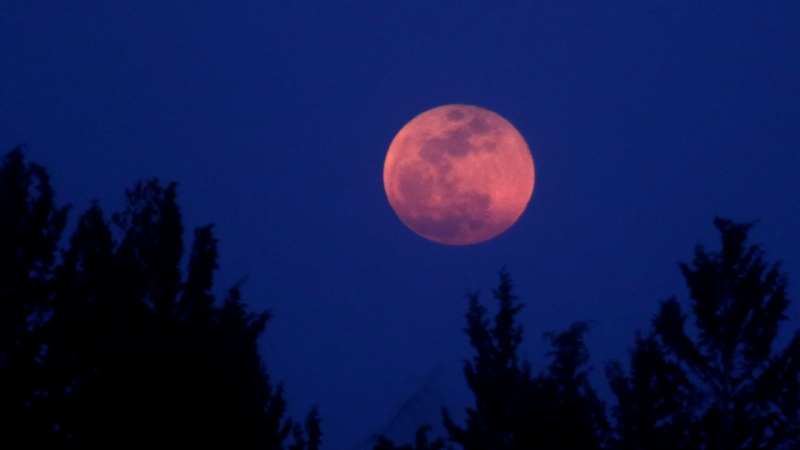 The total phase of the darkness of the moon on Friday 27th July will last for 1 hour and 43 minutes, during which Earth’s natural satellite will turn a spectacular red or ruddy-brown color. From start to finish, the entire celestial event will last nearly 4 hours. This time the blood moon or chand grahan will be a too different view than the 2017 solar eclipse, which darkened the skies for a few minutes as the moon passed in front of the sun. The Friday, July 27 eclipse will be fully visible for 1 hour and 43 minutes and partially visible for 3 hours and 55 minutes from parts of South Africa and most of Africa, the Middle East and Central Asia. During the eclipse, Earth’s shadow obstructs the sun’s light, which otherwise reflects off the moon. 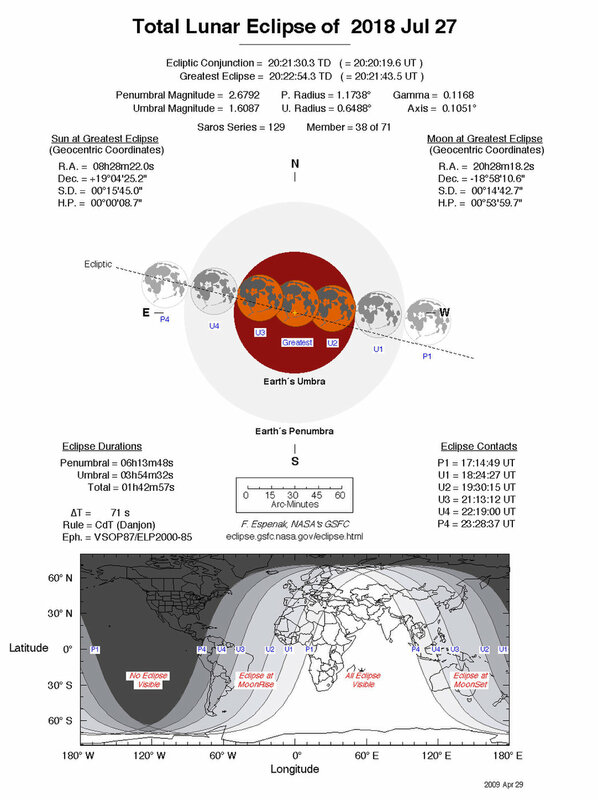 A total lunar eclipse takes place when Earth’s dark umbral shadow finally covers the moon. In July, Mars will also be the closest to Earth in 15 years and will appear brighter and larger. This eclipse will be the second total lunar eclipse in 2018, after the one on 31st January. 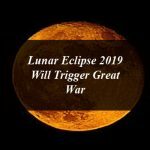 The eclipse or blood moon will not be visible in North America and will have to wait until July 2020 to witness a lunar eclipse, according to NASA, The continents including Europe, Asia, Australia, Africa, South America and the Middle East will be able to witness the longest blood moon of the 21st century. The eclipse, blood moon, or chand grahan will be visible in Pakistan on 27th July. It will be visible in Lahore, Karachi, Islamabad, Multan and other cities. In India, the moon will also be visible for 1 hour and 43 minutes. It can be seen entirety in India at around 1.52 am on 28th June, and last till 2.43 am. The longest duration of totality would be 1 Hour, 42 Minutes. It will start nearly at 10:14 PM PST and will last at 4:28 AM. Unlike with solar eclipses, you can watch the lunar eclipse with bared eyes there will be absolutely no risk to your eyesight. However, binoculars or a small telescope will be used to watch the details in the lunar surface. In the year 2018 there will be five eclipses, 3 solar eclipses and 2 lunar eclipses. The first lunar eclipse 2018, chand grahan, occurred on 31st January and gave way for a super blue blood moon, while the second lunar eclipse will be on 27th July.